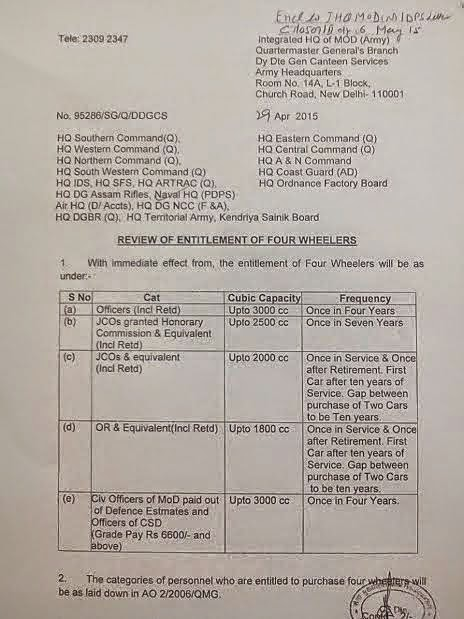 (Incl Retd) Upto 2000 cc Once in Service & Once after Retirement. First Car after ten years of Service. Gap between purchase of Two Cars to be Ten years.